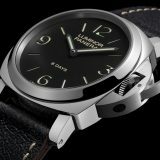 The limited edition Luminor Marina is not quite the first Swiss Panerai watch ever to come with a green dial – there have been Bronzo pieces in green before – but it is a bit of a treat. 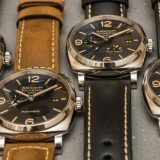 Panerai is not a brand to trot out blue dial variants every six months (indeed, it only recently started branching out from standard black or white), so its decision to release a first-of-a-kind green piece for London this summer is not to be overlooked. It’s not the first time a watch brand has chosen British racing green for a London-based launch – remember the Jaeger-LeCoultre Reverso in green? – but it is still a rarity. 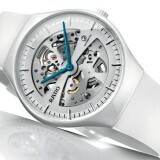 The movement is the in-house automatic P.9000 calibre, with a three-day power reserve, beating at 28,800 vph. 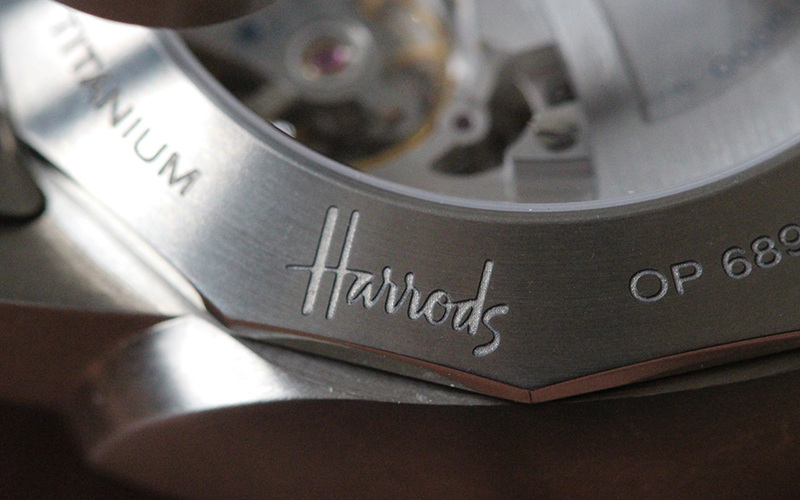 The caseback is engraved “Harrods” to mark the special association – a nice touch, but we would love to see a co-branded dial in the style of retailer partnerships of yore. 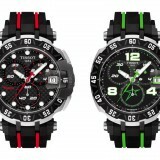 The watch measures 44mm across, and comes with a choice of steel bracelet or matching green fabric strap. As Harrods unveils a month-long watch “takeover” of its Brompton Road windows, Panerai releases a British Racing Green Luminor Marina, exclusively available at Harrods’ fine watch room. Of course, it also happens to match Harrods’ own green fairly well. 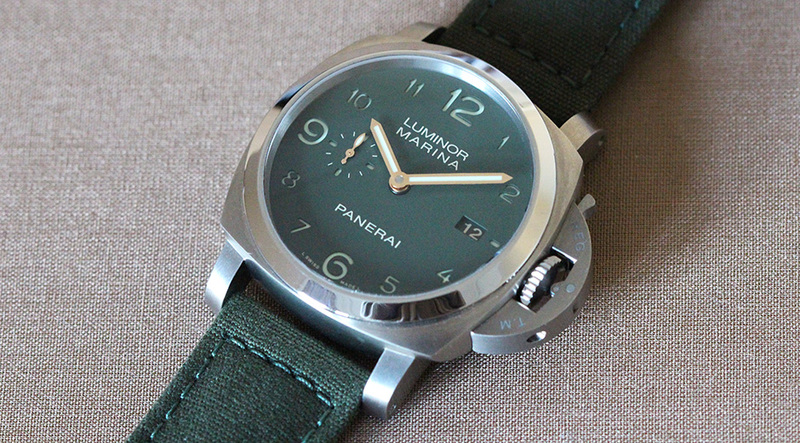 We will bring you more information on the Panerai Luminor Marina Watch Harrods Limited Edition as soon as we have it. 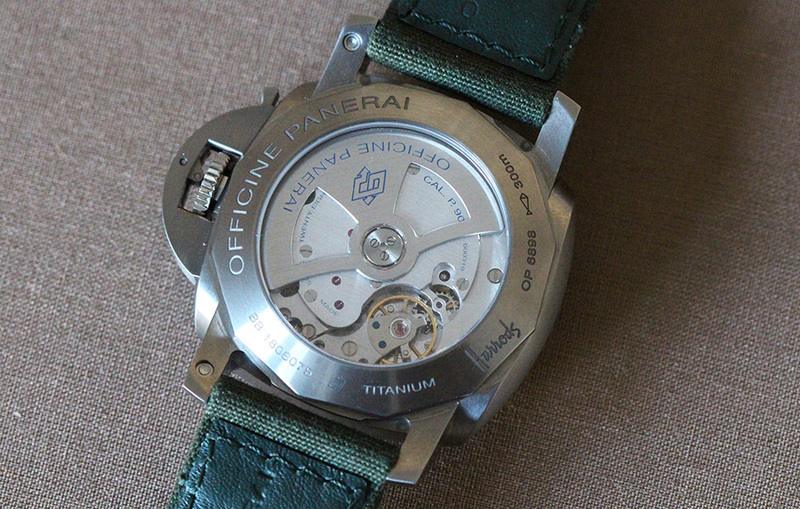 In this watch in particular this gives it a great two-tone green feel. 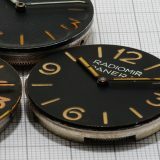 The dial is of course the typical Panerai sandwich construction, with a layer of superluminova beneath the stencilled indexes. 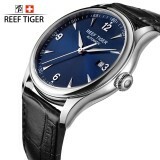 The watch is a Luminor Marina 1950 Automatic, in a titanium case, with a three-day power reserve. 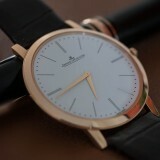 So you have the small seconds dial at 9 o’clock, the date at 3 o’clock, and the trademark Luminor crown guard. 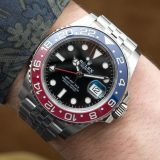 It’s closest to the PAM00359 from the existing range – sharing as it does the small-size arabic numerals rather than baton indexes (other than the 12-6-9 which, naturally, stand large and proud). 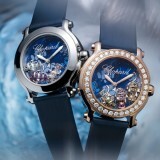 Next story Girard-Perregaux :Third creation in the Chamber of Wonders line unveiled at Baselworld 2016.